Includes exchange of new unused product if a defect is found within 30 days. 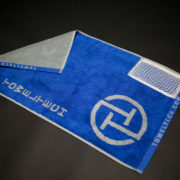 Developed to be more hygienic and convenient in any fitness environment, TowelTech is the gym towel evolved. 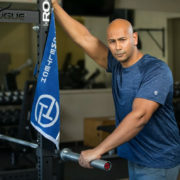 Made with the advanced, eco-friendly fiber TENCEL ® , TowelTech’s unique set of features work synergistically to improve your gym experience and protect you from bacteria. Removable Neodymium Magnet- A small yet powerful magnet is hidden in the corner of the towel, allowing it to attach to metal equipment–keeping it off dirty common surfaces. 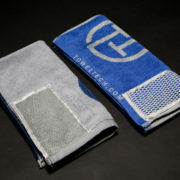 Color Coded Sides – With the reverse color design, one side of the towel can be designated for sweaty equipment while the other is reserved for your face and body. Advanced TENCEL® Fiber – TowelTech’s renewable eucalyptus TENCEL® fiber is exceptionally soft and luxurious to the touch googletest. The super-absorbent fiber demonstrates less bacterial growth reduced odor and is quicker-drying than other textiles. Mesh Zipper Pocket- The secure pocket provides convenient storage for keys, gym card, wallet or phone. Text messages or missed calls can easily be viewed through the mesh. 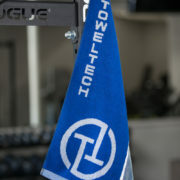 If you want to be more efficient, more comfortable and healthier while you exercise, make Towel Tech part of your workout.